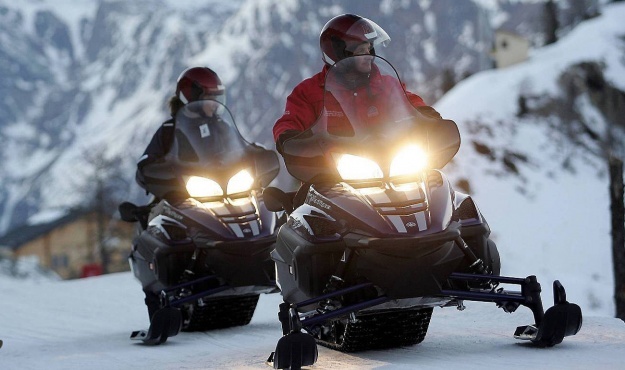 During the day or especially when night is beginning to fall and skiers or walkers leave the slopes, snowmobiles are an original and spectacular way to discover the wild, unspoilt scenery of the mountains. After being briefed on how to handle the machine, the excursion takes you off along a safe route that combines wide, forested pistes, fast tracks and trails in off-piste powder. The procession of lights, glowing in the dark like jewels against the snow-scape cannot fail to leave a lasting and spellbinding memory….especially when the adventure culminates in a traditional dinner in a mountaintop chalet!